Los Angeles, CA – It’s a music collector’s dream come true – vintage demo tracks, never heard before, from space rock supergroup Captain Beyond are about to be released on both CD and special limited edition red colored vinyl! For those new to the band, Captain Beyond are one of the most underappreciated gems of ’70s rock. A supergroup of sorts, featuring members of Deep Purple (Rod Evans), Iron Butterfly (Lee Dorman & Rhino Reinhardt), and The Johnny Winter Band (Bobby Caldwell), Captain Beyond released 3 studio albums that caused shockwaves in the music world, the effects of which still ripple to this day. Legend has it that Duane Allman heard a demo tape of the unsigned Captain Beyond and was so blown away that he all but demanded the band join The Allman Brother’s own label Capricorn Records. The rest, of course, is history but those original demos remained buried by time until just recently when they were uncovered by Captain drummer Bobby Caldwell. Now these are being released as Lost & Found 1972-1973 on June 2 via Purple Pyramid Records. Not only will fans be able to hear the original versions of songs such as “I Can’t Feel Nothing” and “Dancing Madly Backwards” but there’s a special treat for diehard fans: “Uranus Expressway” is a song that has never appeared on any subsequent Captain Beyond release. Lost & Found will be made available on CD in a deluxe gatefold wallet with extensive liner notes by music historian Dave Thompson as well as a limited edition red colored vinyl pressing! 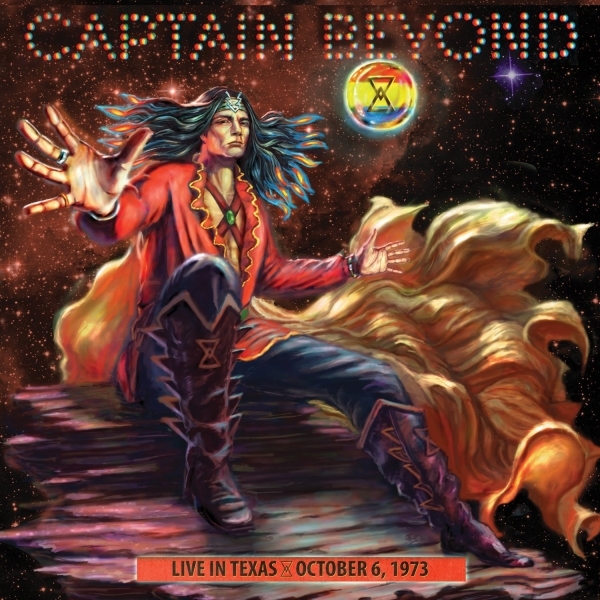 Los Angeles, CA – Purple Pyramid Records will be releasing a vintage live recording of legendary classic rock band Captain Beyond ‘Live in Texas October 6, 1973’ on May 21, 2013 on CD & Double-LP. One of the most underrated classic rock bands of the early 1970’s, Captain Beyond were considered a ‘supergroup’ of sorts at the time and featured original Deep Purple lead vocalist Rod Evans, former Iron Butterfly guitarist Larry ‘Rhino’ Reinhardt and bassist Lee Dorman, and ex-Johnny Winter drummer Bobby Caldwell. Although the band only lasted three critically acclaimed albums and several tours of the US and Europe, the band’s following is as strong today as it was back in their heyday! Now with the release of this rare sought after concert recording on CD and vinyl for the first time, fans can relive the magic that was Captain Beyond in concert! Recorded just after the release of the group’s second album ‘Sufficiently Breathless’, Captain Beyond ‘Live In Texas’ captured the band while on tour with King Crimson.